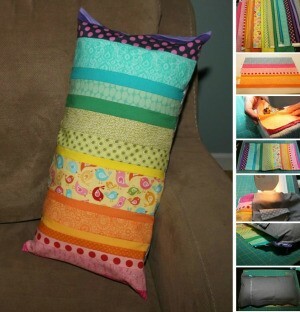 Here is a pretty pillow project perfect for your stash of scrap fabric. 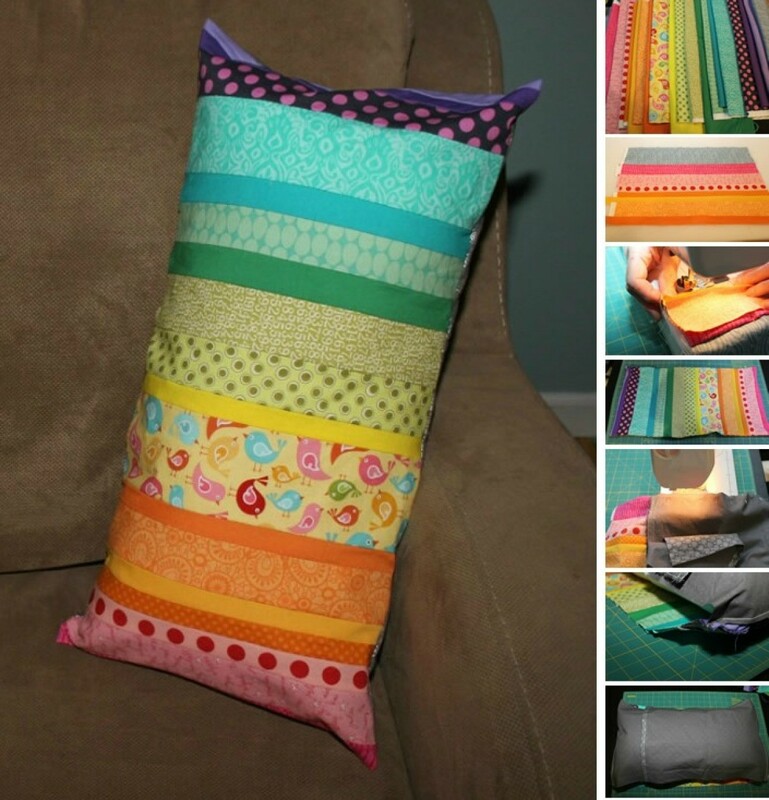 This is a guide about making a pillow with fabric scraps. 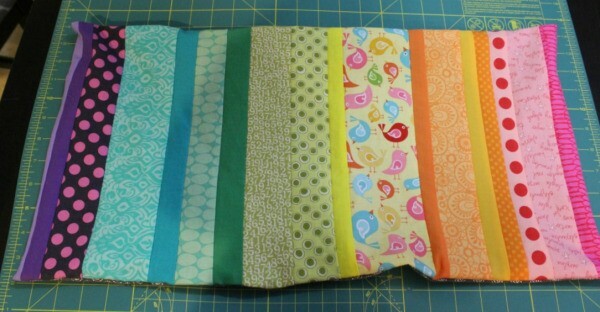 I bought a bunch of small pieces of fabric that I liked, but hadn't decided how to use them. 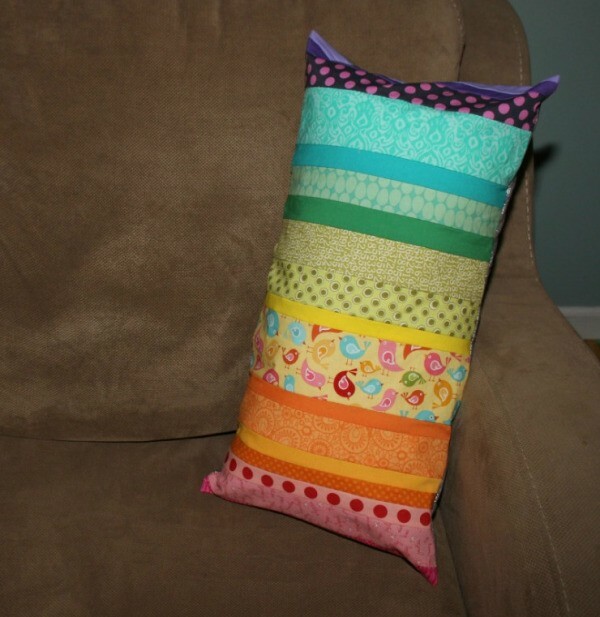 I needed a lumbar pillow and found them to be too expensive so I figured making my own would be a great way to use my fabric pieces. 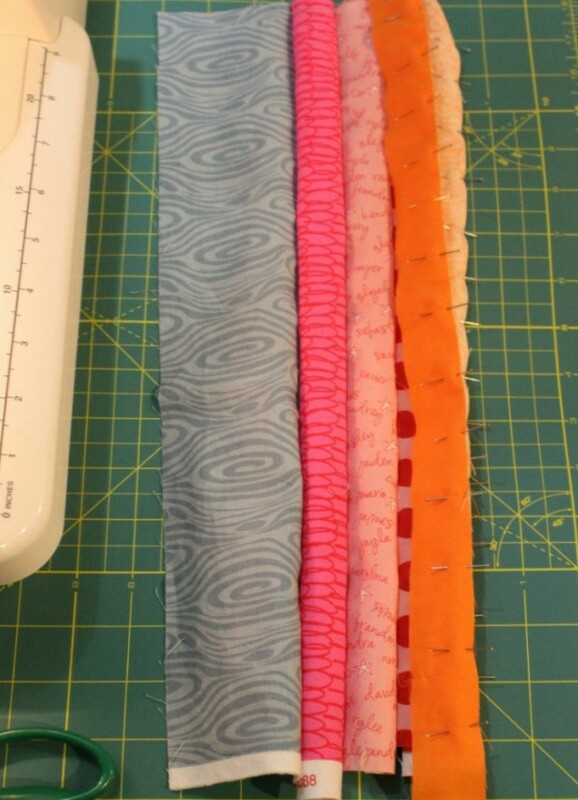 Determine how wide you want the strips to be. 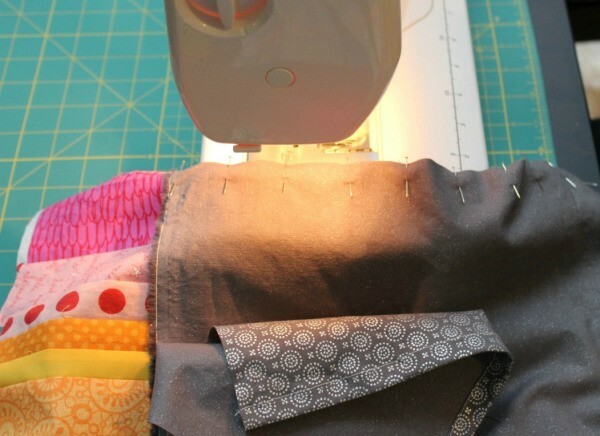 Make sure that you account for seam allowances on each piece and that sewn together they will equal the width of the pillow, with end seams. (My strips varied between 1-3 inches in width.) 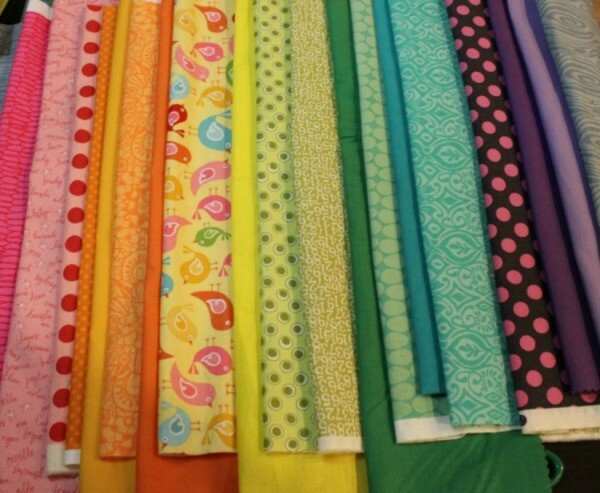 You can lay them out, prior to sewing to get a feel for how they will look. Cut the strips, then pin them together. 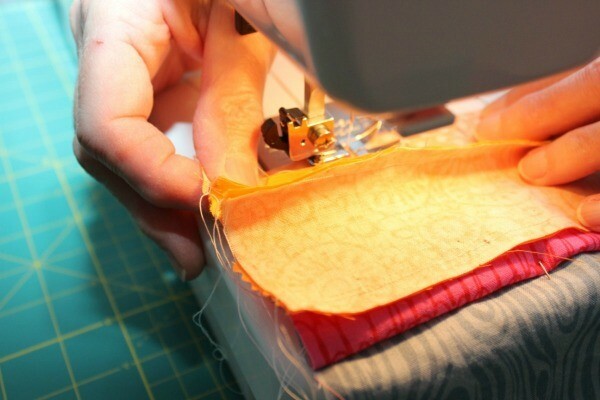 Sew each seam, removing pins as you go. 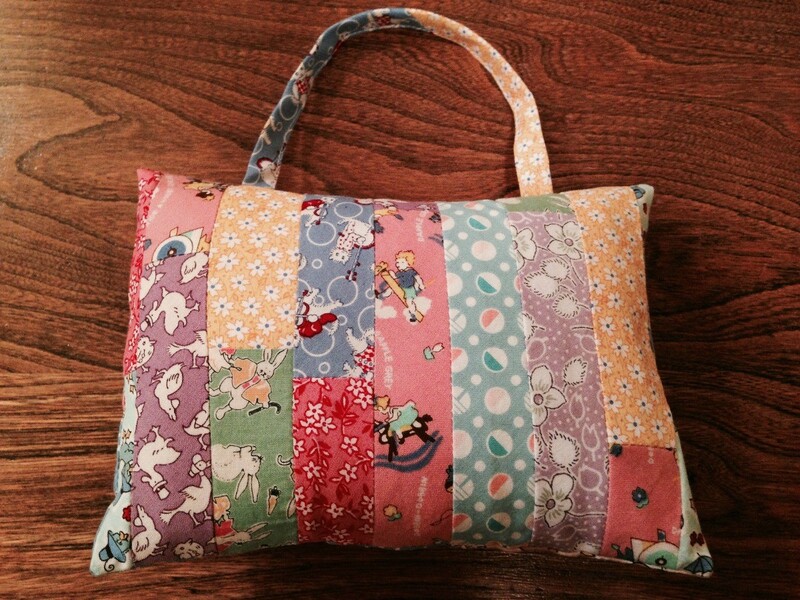 Once all of your seams are sewn, press your pillow front with an iron. Then trim off any excess, so that all the edges are even. 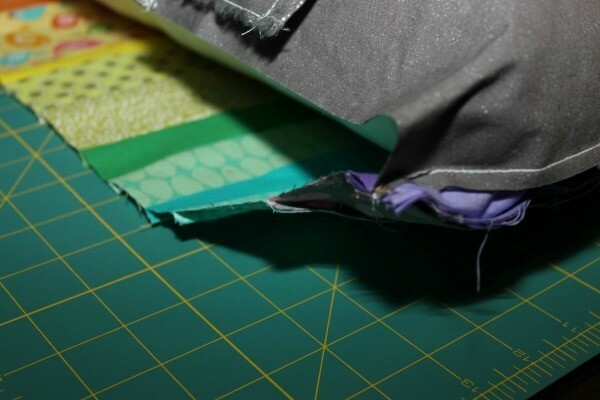 For the two back pieces you will fold the opening edge under 1/2 in. then again another 1/2 in. 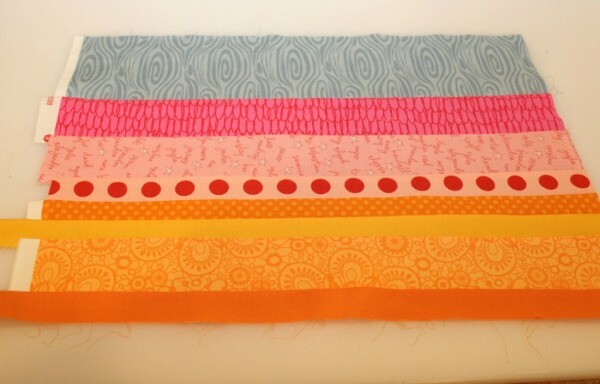 and sew for a finished edge. 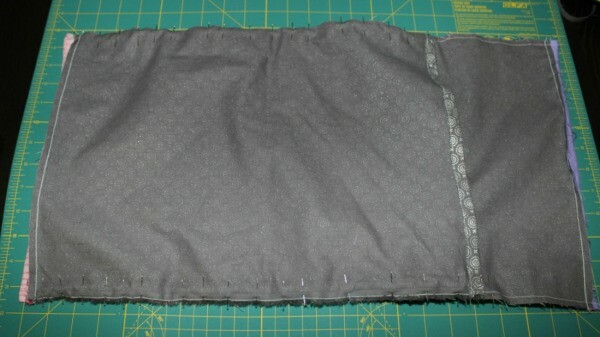 Now pin the back pieces at the ends, to the pillow front (right sides together) and sew. I recommend stitching the seams twice for strength. 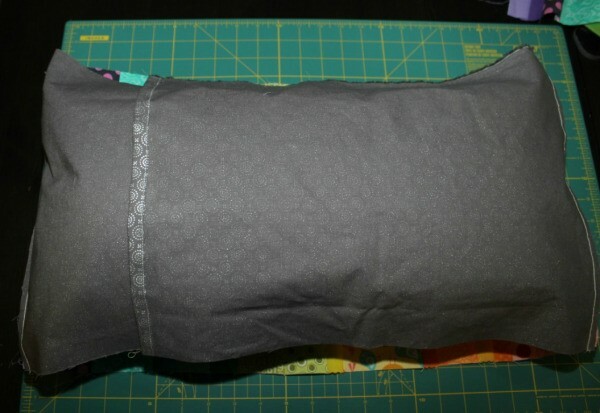 Now wrap the case around the pillow form to make sure your overlapping is correct for a snug fit once sewn. Pin at the corners and remove the pillow form. Finish pinning the back and front together and sew, again I recommend double stitching the seam. Turn the pillow case right side out and press with an iron. Now you are ready to put the pillow form inside. I wanted to make my own version of a craft posted here on Thriftyfun back in 2009.